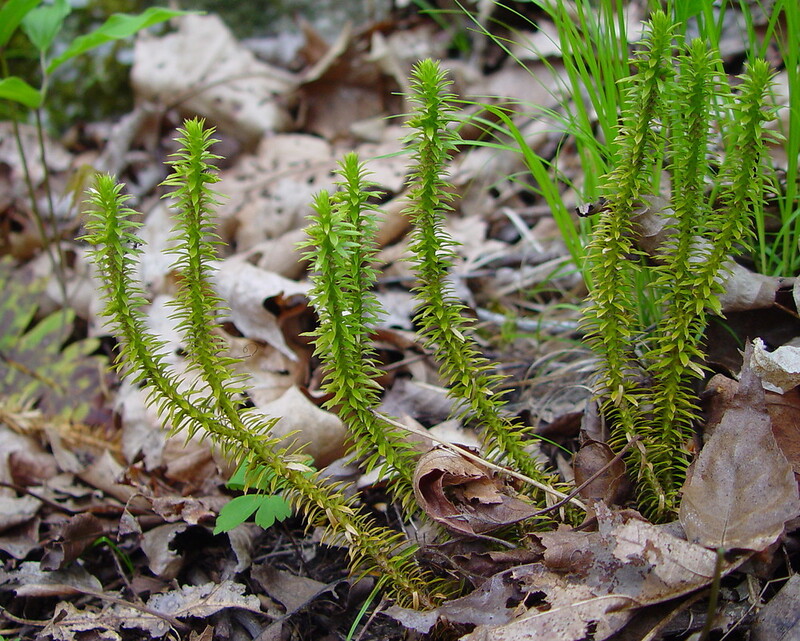 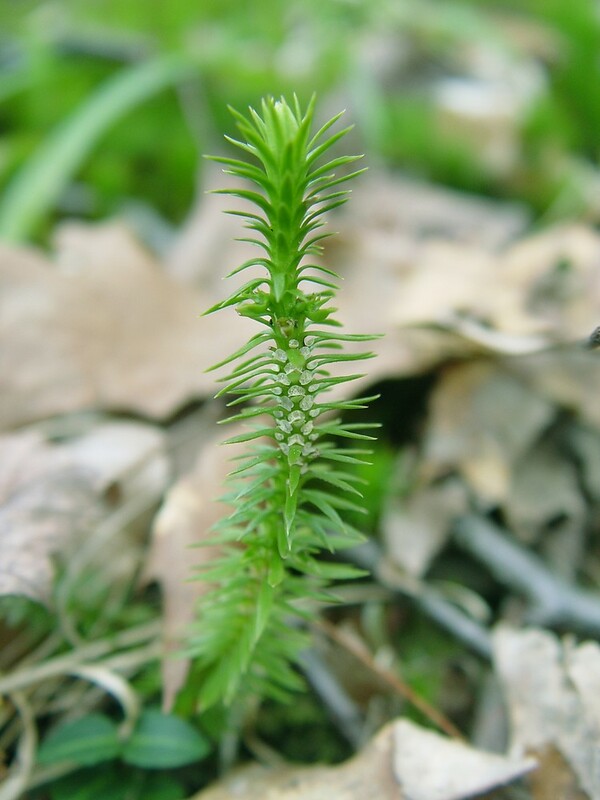 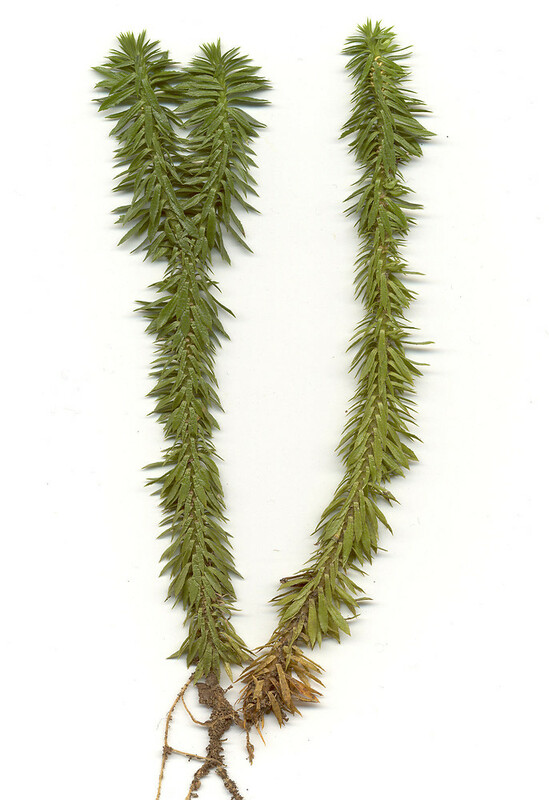 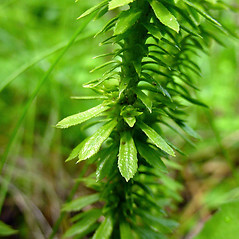 Shining firmoss gets its name from its lustrous, shiny, green leaves. 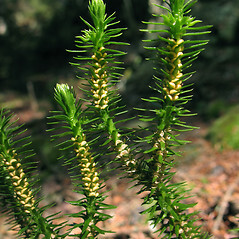 It is also distinguished from other firmosses (Huperzia) by the annual constrictions along the stem that give it an irregular or undulating appearance, and also by the leaves, which are widest above the middle. 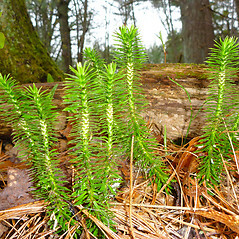 leaves lanceolate to narrow-triangular, widest below the middle, entire are rarely with obscure, papilla-like teeth, and shoots with obscure winter bud constrictions (vs. H. lucidula, with leaves oblanceolate, widest beyond the middle, with 1-8 small teeth, and shoots with evident winter bud constrictions). 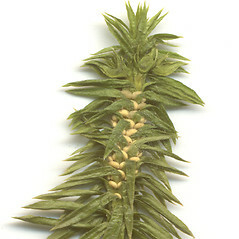 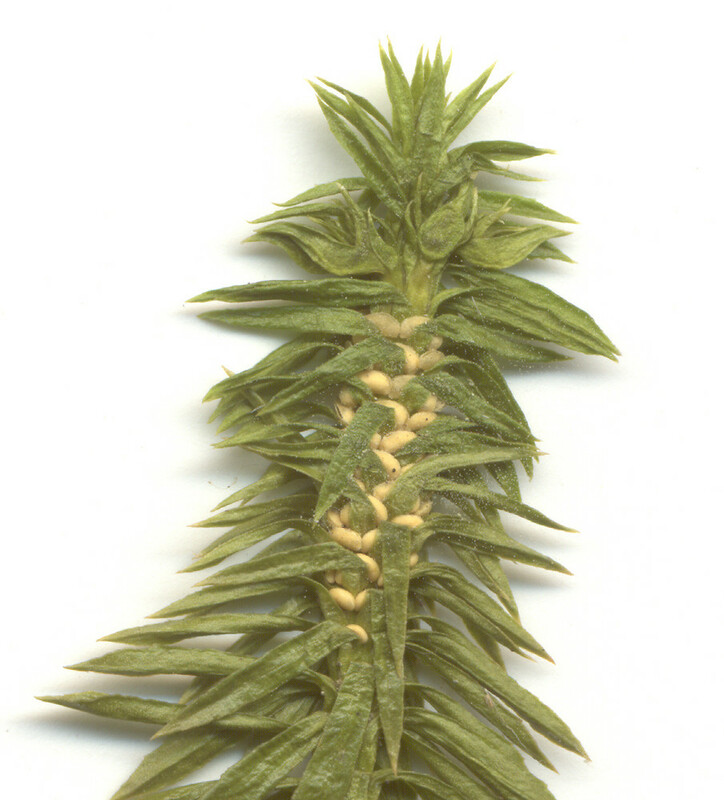 plants lacking specialized branches that produce gemmae, and with spore cones at the apex of branches on mature plants (vs. H. lucidula, which are plants with specialized branches that produce gemmae and lacking spore cones, the spore-bearing leaves in alternating zones with the vegetative leaves). 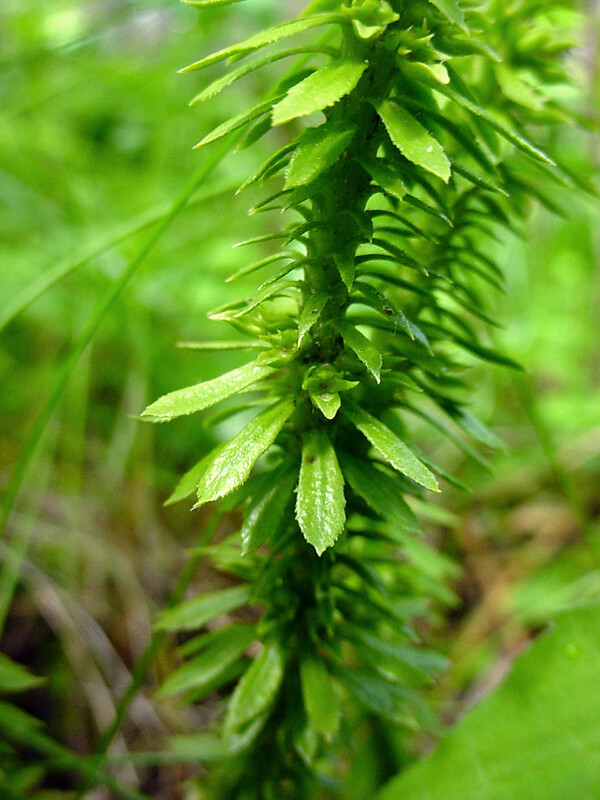 shining firmoss. 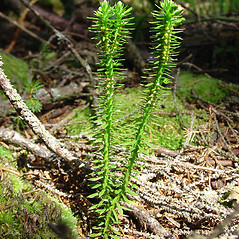 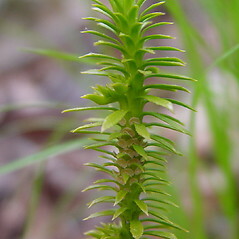 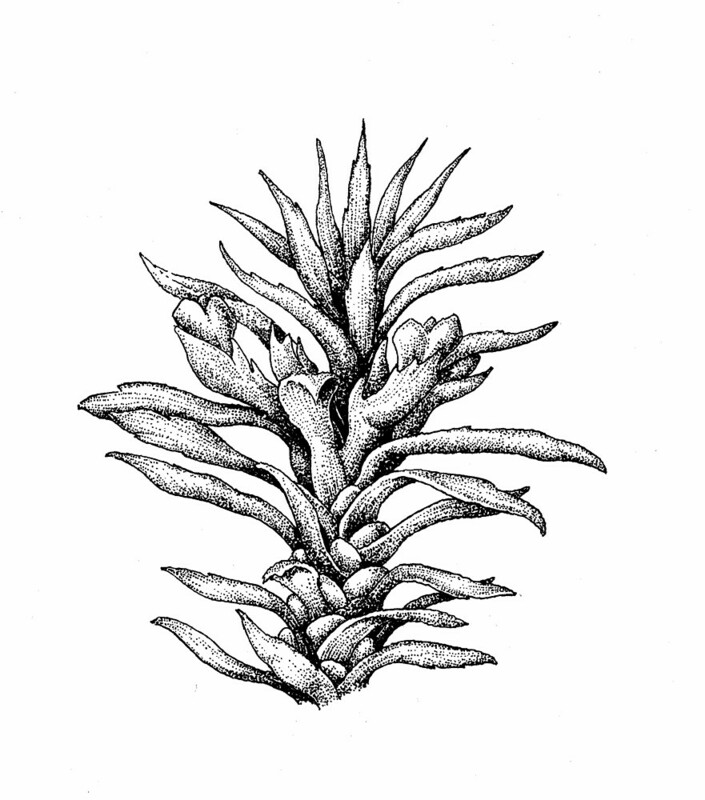 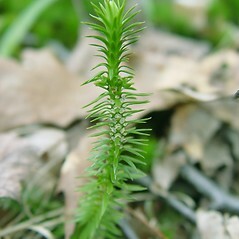 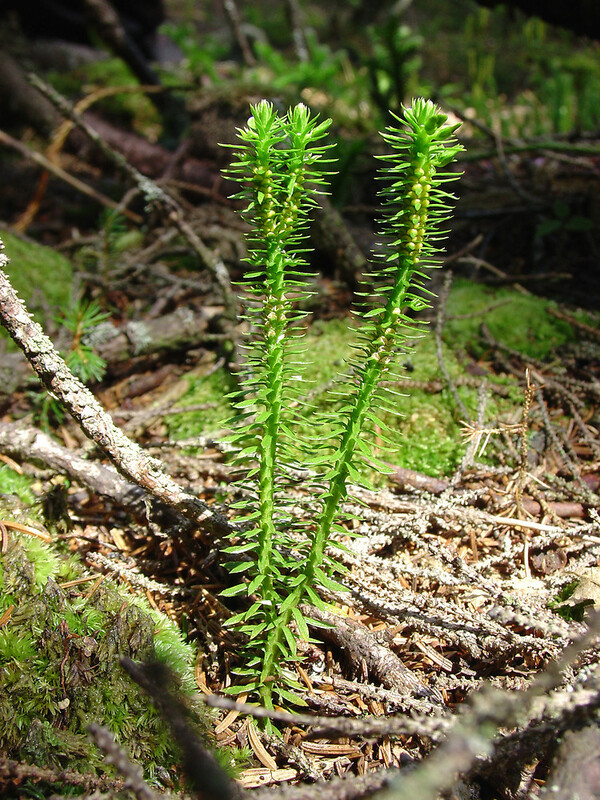 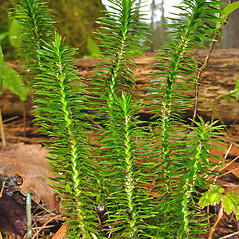 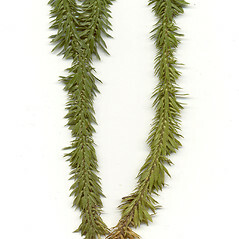 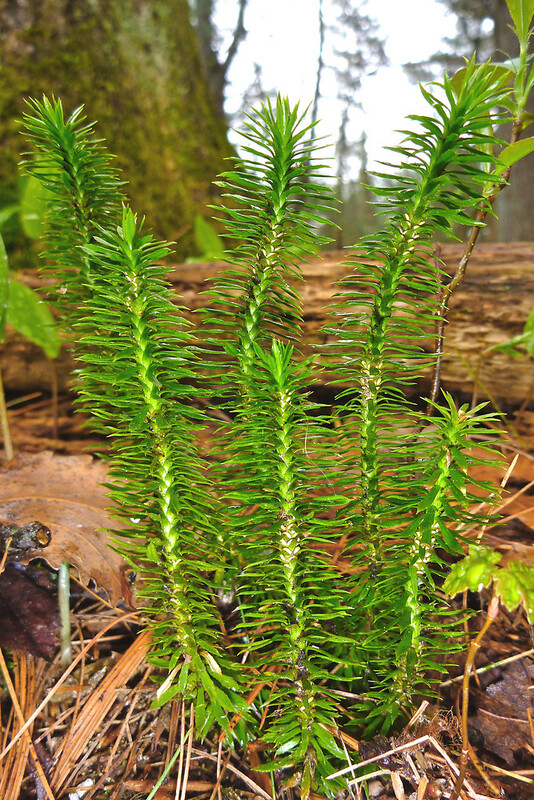 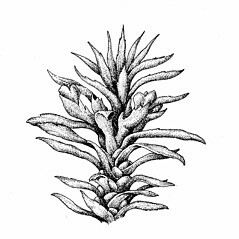 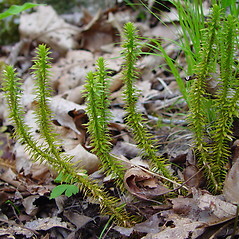 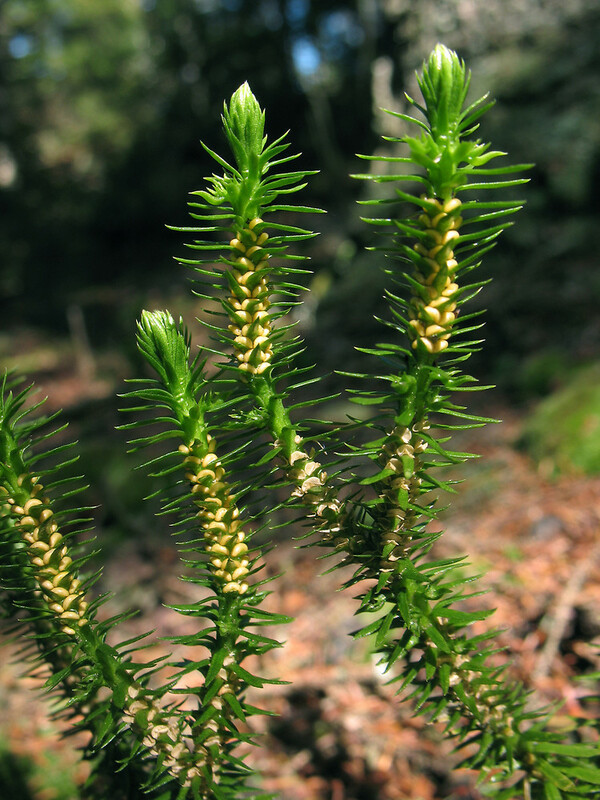 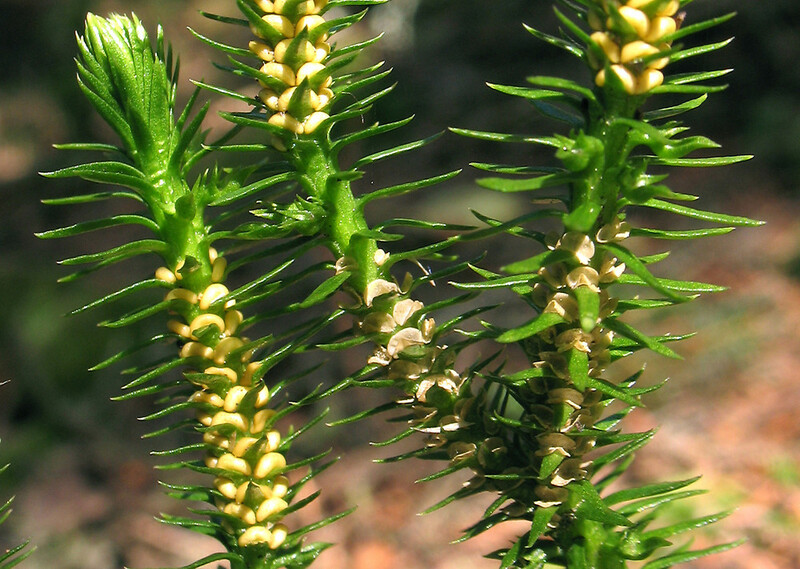 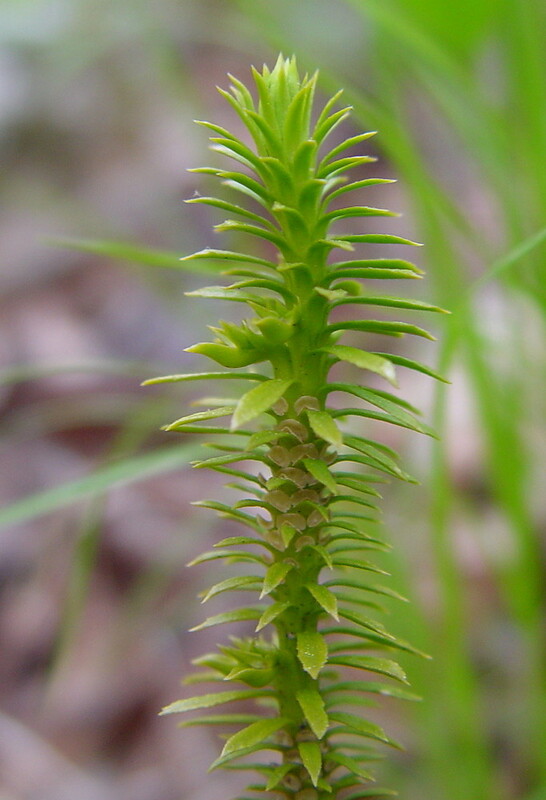 Lycopodium lucidulum Michx. 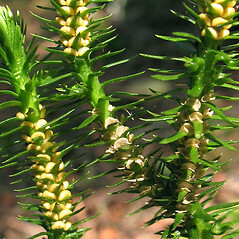 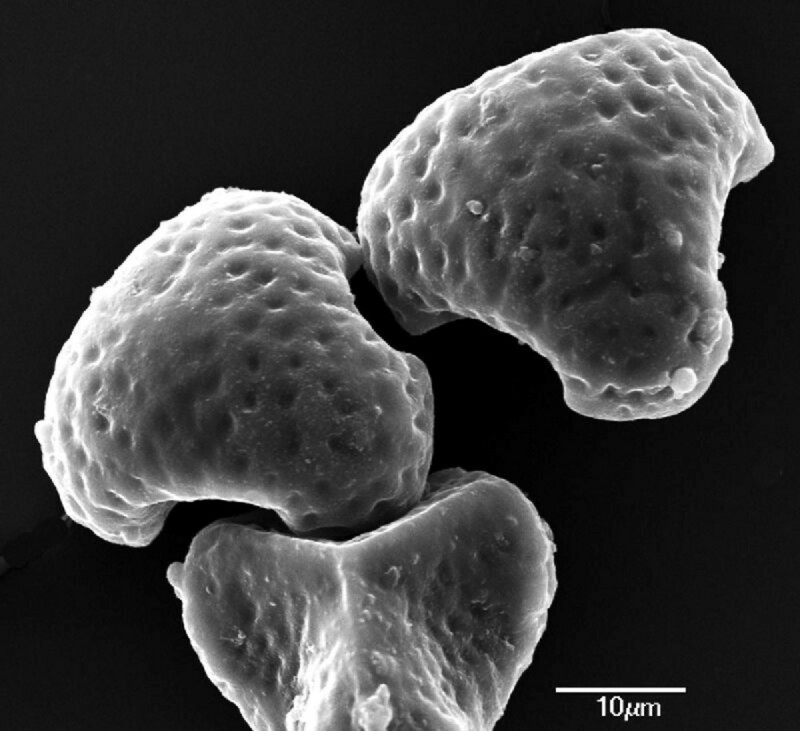 ; Urostachys lucidulus (Michx.) 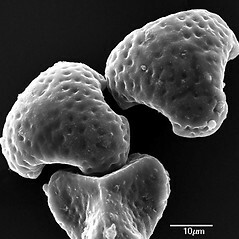 Ness. 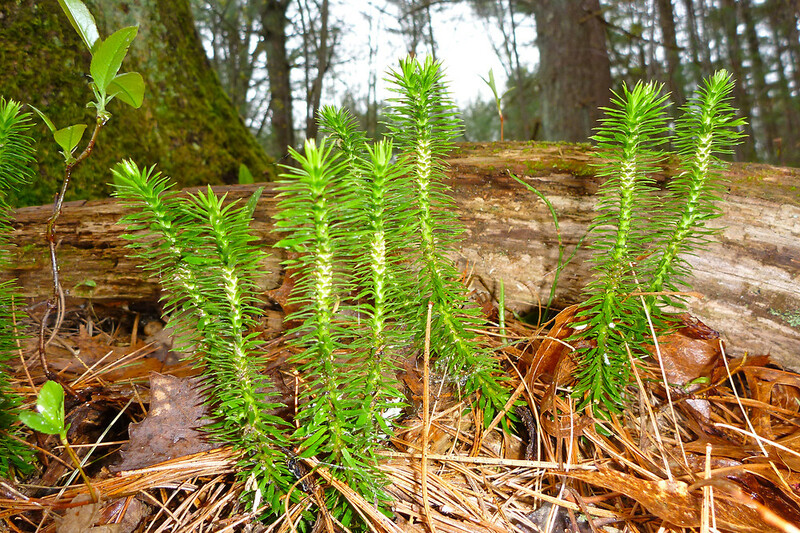 • CT, MA, ME, NH, RI, VT. Mesic to hydric forests, including conifer and broad-leaved types.